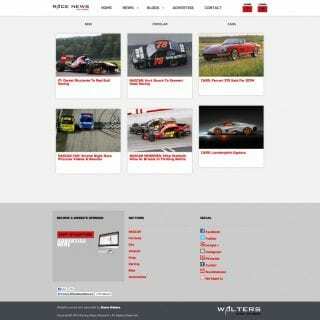 Racing News Network is not a customer website, the news site is wholly owned and operated by Walters Web Design. 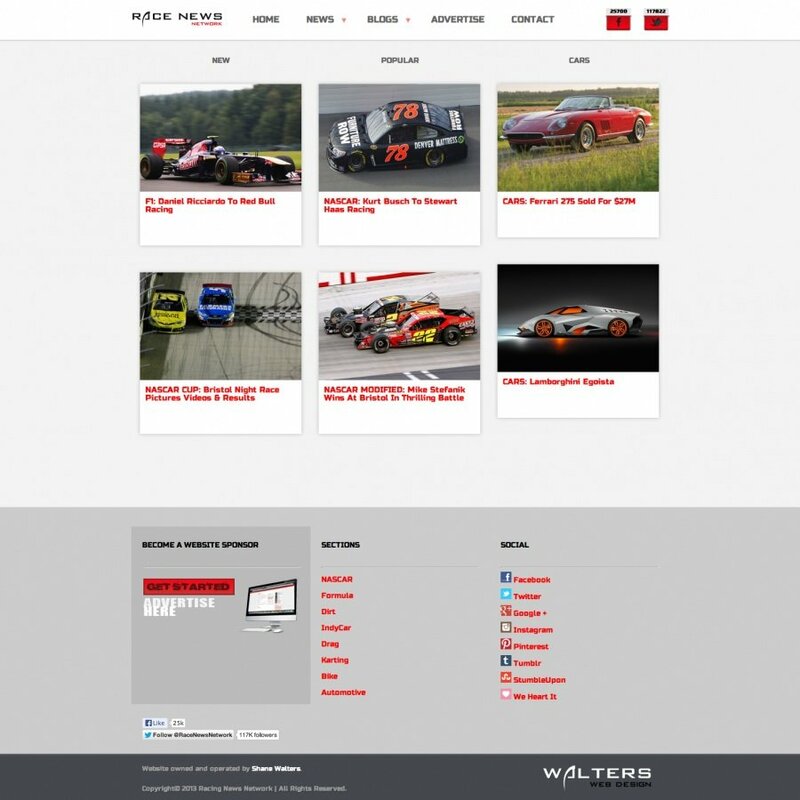 We started the project back in 2009 and has seen 3 complete website rebuilds since. It has reached surprising traffic growth in the past 12 months. Many new things are in store for this website, most of which will begin rolling out in the next 6 months. 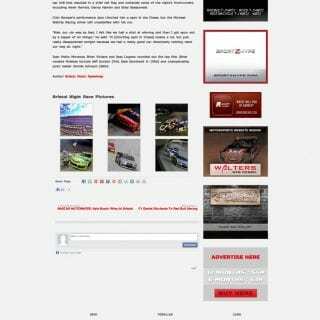 The new section of popular posts will keep visitors on our site longer and give our advertisers more exposure. Beyond the functionality of the website the visual appearance is also much more appealing and stripped down to basics for simplicity. Becoming a website sponsor is easy. We offer yearly advertising programs at just $49 which will give your logo and link visibility on virtually every page of the new website. To learn more about advertising spots available or to purchase your spot today please visit this link. 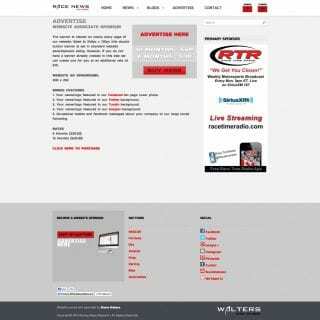 The primary sponsor of the website is currently sold to Race Time Radio. 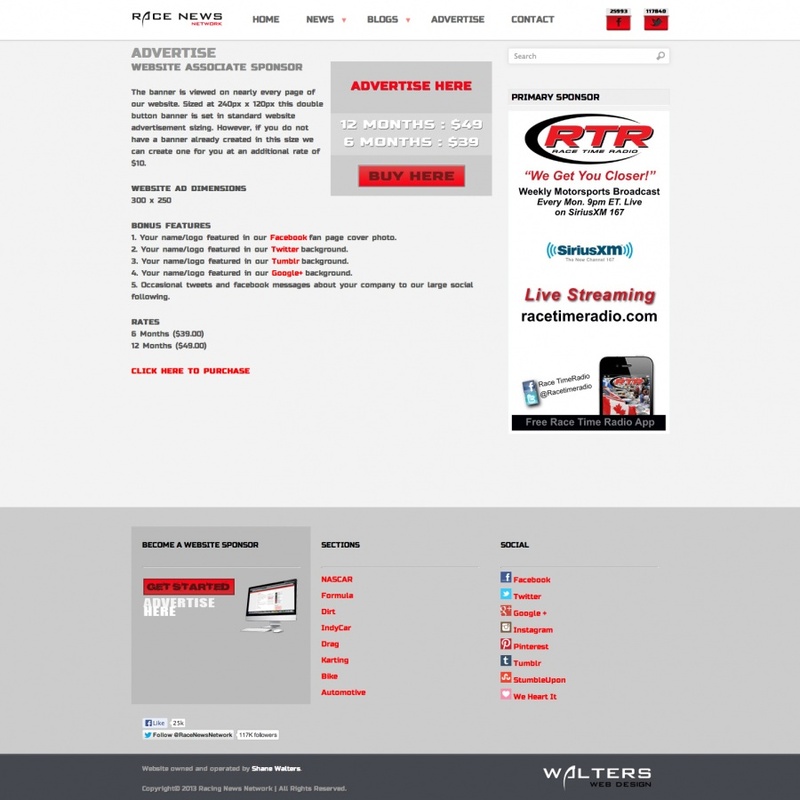 They offer multiple radio program for the listening pleasure of the motorsports industry. They can be heard on satellite radio via Sirius XM 167.